When you want the best you want Rhino Skin®. Rhino Skin® balls feature a tough coating over a durable foam core. The ORIGINAL, non-sting coating is designed and made in Sweden and is so durable, it is virtually tear-proof! The Rhino Skin® patented coating provides better performance than traditionally constructed balls, offering ease of play that is excellent for all age groups. Why settle for a substitute when you can have Rhino Skin® - the best brand on the market! Have confidence in the safety of your players with our Rhino Skin® Soft-Eeze balls that are perfect for beginners. 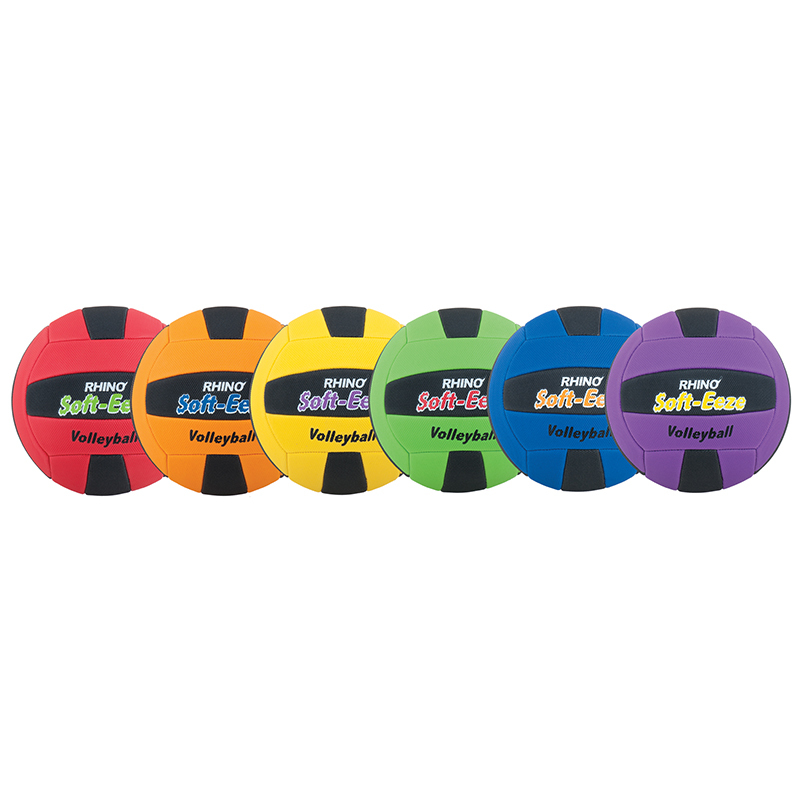 This set of six volleyball shaped balls have an ultra durable non-sting tacky cover that is perfect for indoor/outdoor play and a rubber/butyl bladder for superior air retention.